Directional couplers are characterised by high power & low loss designs and optimized for high directivity (the difference between coupling in one direction compared to the other) and isolation. Directional couplers provide flat coupling of one signal path to another in one direction only (known as directivity) and low VSWR over one full octave or more. They commonly consist of an auxiliary line coupling electrically to a main line, which becomes more complex as the bandwidth increases. One end of the auxiliary line is permanently fitted with a matched termination. Directivity is approximately 20 dB for printed couplers, 25 dB or more for air-dielectric couplers. Directional couplers can be used for diverse applications. Indeed, they are used whenever part of a signal needs to be separated off or two signals need to be combined. 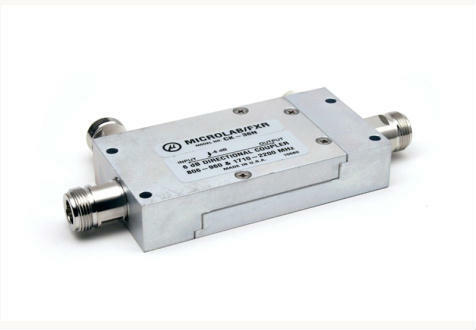 Microlab offers narrow band and wireless band directional couplers with coupling ranging from 3 dB to 50 dB or more, always reference to the input port.